Without experiencing conditions ourselves, we learn only by what works for others. 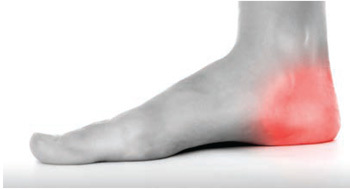 Enter Achilles tendinitis on my right heel. It started during a series of rather challenging hikes in early July. And like many overuse, chronic inflammatory conditions, it didn’t want to go away. I followed the advice I’d give any patient. I rested, changed footwear and practiced the appropriate stretches. Then I waited. And waited. And waited. Now I’m starting to really empathize with the people I see with tennis elbow, plantar fasciitis, and hip bursitis. After almost four months of periodic rest and other conservative treatment, I realized I wasn’t getting anywhere. The pain changed to a burning sensation that was particularly bothersome at night. I knew what I had to do but I still didn’t believe it was going to work. In school, I remember learning Eccentric loading is basically the contraction of a muscle as it’s slowly getting longer. I acknowledge it’s a strange concept for a muscle to contract as it’s lengthening, but it happens. Doing a bicep curl shortens the muscle when you raise the weight to your shoulder (a concentric contraction) and lengthens the muscle as you lower the weight to your side (an eccentric contraction). If your muscle wasn’t engaged while you lowered the weight, the weight would fall to your side quickly and without control. Another interesting point about eccentric contractions (versus concentric contractions) is that they generate more force, more muscular damage and more post-exercise soreness. So why would you want to do this to a tendon that’s already damaged and overused? high number of sets and repetitions. And what do you know? It’s feeling remarkably better. The burning pain subsided and the generalized irritation is all but gone. My calves were on fire for a couple of days and I did have to wor through some milsd Achilles pain during the exercise, but it was totally worth it. I’m going to continue this exercise and don’t want to pre-emptively declare myself cured, but my self prognosis is looking good. So here’s one condition I’ve experienced for myself, and you can bet I’m going to be pushing eccentric loading on the next Achilles patient that walks through my door.